Tea drinkers who seek convenience may find the Arizona Tea brand an appealing option in our on-the-go society. Since 1992, the company has been selling prepared teas in bottles, cans, and juice-style boxes that feature bright, colorful designs. Unlike its brand name, Arizona Tea was founded in Brooklyn, New York by John Ferolito and Don Vultaggio. These businessmen, along with Don's wife, Ilene, wanted their brand to have a look and feel that would be a real attention-getter and decided on a southwest theme for the product packaging. 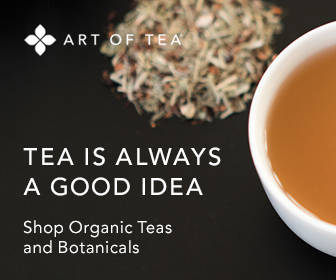 Today, this popular tea company is a recognized marketing success story. The brand is known for its eye-catching graphics, which have won several awards under the guidance of graphic designer Jean Pettine. With their own style of tea preparation and packaging, Ferolito and Vultaggio forged ahead in an entrepreneurial fashion in spite of being told "you can’t do it that way" by experts in the bottled beverage market. Their instincts and hard work paid off. Currently, Arizona is the number-one pre-packaged tea drink in the United States, ahead of the industry's major brand names, such as Nestea (Coca-Cola), Lipton (Pepsi and Unilever), and Snapple (Cadbury-Schweppes). Since its inception, Arizona remains privately-owned and focused on making healthy prepared teas that are made with natural ingredients. No artificial colors or flavors are used in production. In addition, the company uses a hot fill process that pasteurizes their beverages and eliminates the need to use preservatives. New teas are continually being added to the Arizona product line, including three flavors of organic green tea, the latest addition to the company's stable of grab-and-go tea drinks. In addition, the company produces diet teas, tea and juice blends, tea mixes, tea bags, bottled waters, smoothies, and energy drinks.